The kind of work we do is no walk in the park. Hauling, steel erection, and millwrighting carry very special risks. Risks that must be recognized and planned for to complete a project, with the safety record that owners, general contractors, and insurance companies demand. Superior Rigging & Erecting Company is committed to a zero-accident environment every day on every job. We back that commitment with an active safety staff, support and enforcement from top and frontline management, plus comprehensive, ongoing training. From our beginning in 1952, Superior Rigging & Erecting has worked hard to create and instill a culture of safety. That culture has kept our injury and lost workday rates well below national averages. Plus, our Experience Modifier Rate is consistently below the industry standard. At the beginning of each project, we conduct job-specific training, with safety goals and safe operating procedures clearly defined, followed by weekly safety training sessions. Daily safety inspections on each job site ensure that little problems are resolved quickly. And every site is a drug-free workplace. 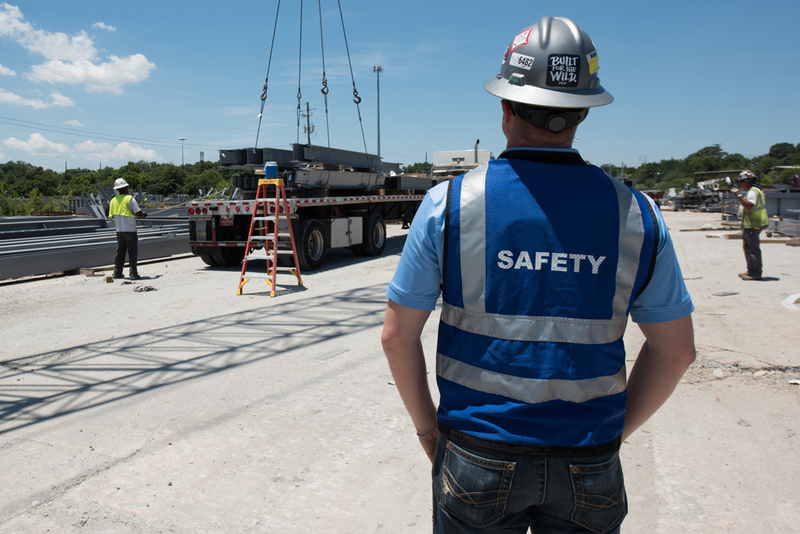 Safety is a round-the-clock attitude shared throughout our company. You can be sure we are committed to meeting your critical milestones, but we will never be so focused on productivity that we sacrifice safety.